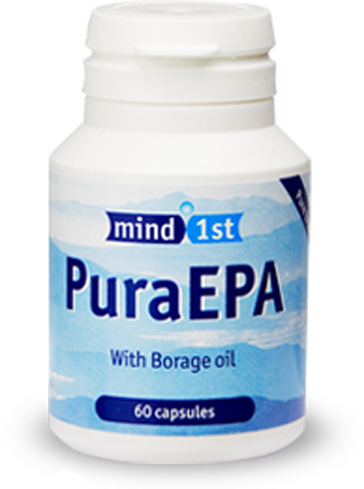 PuraEpa has two principle ingredients, these 2 ingredients are EPA (300mg) and BO (100mg). EPA is eicosapentaenoic acid, this nutrient is an essential fatty acid (EFA) that is primarily found in fish oil, and is part of the omega 3 family of essential oils. BO is Borage oil; this is high in the nutrient GLA. This product is unique as it has the highest dose of pure ethyl EPA, on the market today combined with the added bonus of Borage oil which has the highest concentrate of GLA (24%) that you will find in any plant extract . 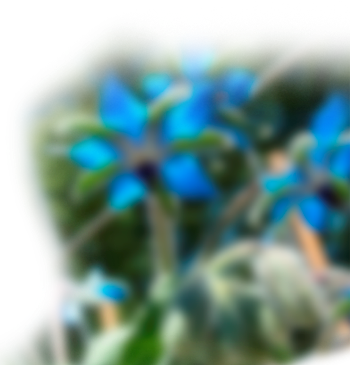 Borage oil (starflower), extracted from the seed of the blue, star shaped borage flower, is gaining much attention by alternative health practitioners and mainstream medicine alike for its profound medicinal properties. Whereas the oil is getting all the credit, it is actually the oil's active component, gamma linoleic acid (GLA), that has drawn the interest of researchers. 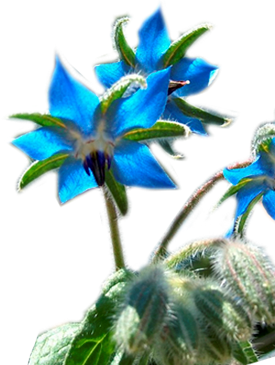 Borage seed oil is now thought to be a superior source of GLA compared to evening primrose oil. A body with a healthy biochemistry has the ability to produce GLA from the most essential fat linoleic acid. Linoleic acid is found most abundantly in the omega 6 family of oils, including safflower, sunflower and corn oils. While it has been estimated that a majority of Americans and Europeans consume far too many omega 6 fatty acids in proportion to the beneficial omega 3 fatty acids (by approximately 10:1). Most biochemists agree an optimal ratio of omega 6 to omega 3 fatty acids should be approximately 1:1. Despite the obvious over consumption of the omega 6 oils rich in linoleic acid, some individuals lack the ability in converting linoleic acid to the much needed GLA. The recommended dose of Pure Epa fish oil is 1- 4 capsules per day, to be taken with food morning or night. For maximum benefit the product should be initially taken at a dosage of 2 to 4 capsules per day for up to three months for the oil to be fully absorbed. Is Pure EPA fish oil Safe? The simple answer is yes. PuraEPA is an omega 3 Epa fish oil supplement that is very high in EPA fish oil (90%). The fish oil comes from deep sea cold water fish such as horse mackerel, herring and salmon. They come from natural fishing grounds off the coast of South America. It is theoretically possible to derive EPA solely from fish, however in order to obtain the high concentration and daily dose required you would have to consume a very large amount daily, with which would bring negative side effects due to all the pollutants, this is why it is important to choose a very high quality, safe, natural fish oil such as PuraEPA. Whats the Vitamin E for? Natures very own antioxidant, PuraEPA contains a dose of vitamin E that helps to protect the freshness of the oil and keep it in an active state within its capsule and the body.